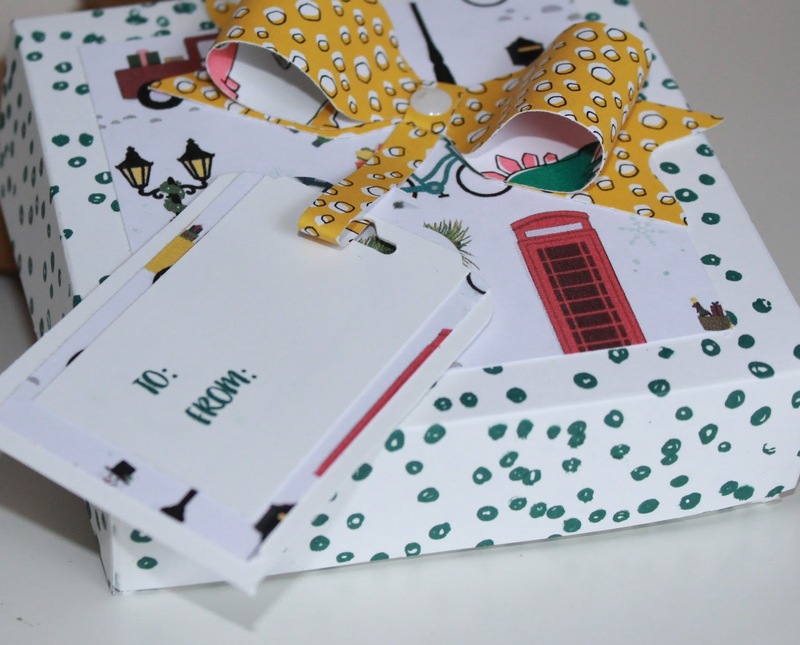 The new Autumn Winter products from Stampin' Up are sooooo good! Just wait until you see them all when the new catalogue launches next month. I snapped up a gorgeous pine/fir/Christmas tree stamp set and realised that one of the tree stamps (the tree can be stamped in three layers) which I think is intended to stamp on a snow or bauble or light effect is perfect for stamping cute ditzy dotty custom paper. More than that it kind of goes with the Crushed Curry and Whisper White spotty design from the Pick a Pattern DSP so if you were looking to coordinate like with like now you can... more or less as I did in this project below which I'll blog about specifically during the week. 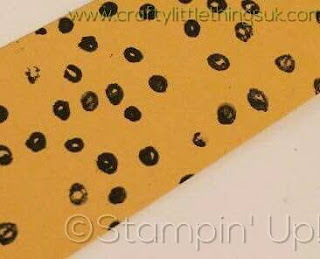 This stamp is also great to create a leopard print effect when stamped using Basic Black ink onto Crushed Curry cardstock... what do you think? I'm thinking this stamp would also make a fab night sky effect used on Basic Black or Night of Navy with some glitter or how about a snowy scene used with white embossing powder? It's good to look at stamps to see how they may be used other than for their obvious purpose. It makes them more versatile and even better value for money if you can put them to use in many different projects. Let your imagination run wild! When I shared my thoughts on our Stampin' Up! demonstrator's Facebook group someone also suggested using it as black on white for a Dalmatian theme which I thought was a perfect use for it too. I'll be showing your more projects using this stamp set, Season Like Christmas in the next few days to whet your appetite and I'll include product links there and add links to the new products as soon as I can.